Hephesto's Forge: Tale of Gamers - it's not the size of your gun, but rather what you do with it. Tale of Gamers - it's not the size of your gun, but rather what you do with it. Update time ladies and gentlemen, and what better way than with a new unit. 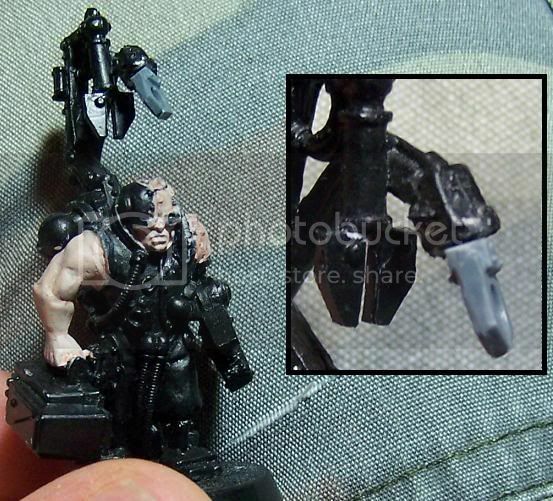 Today, my work in progres Thunderfire Cannon. 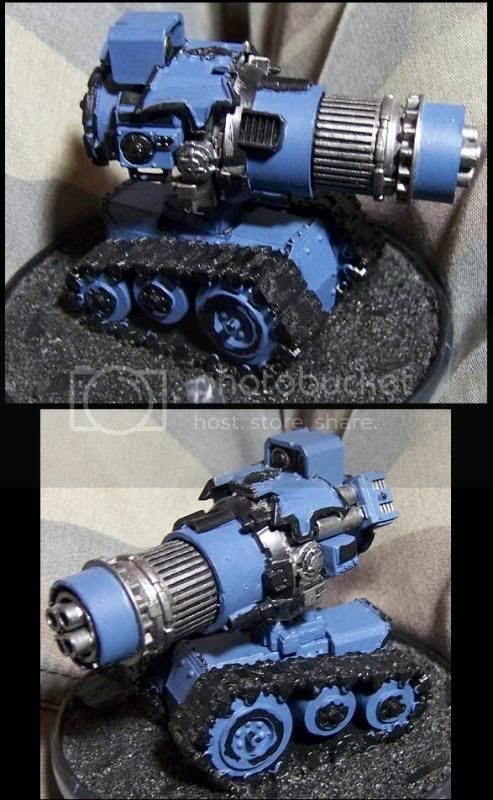 The Tyrant's Legion is allowed to take a single Heavy Support unit from the regular Space Marine Codex if the army also includes a Cohort (large unit of Astral Claw Space Marines) and given the urban defensive war-theme of the army I simply had to squeeze a Thunhderfire Cannon in there. 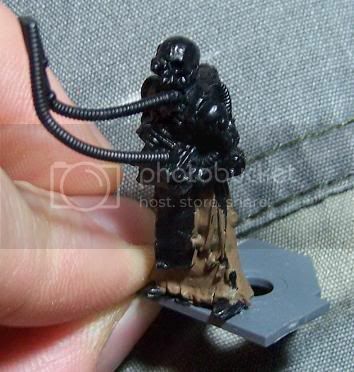 Besides, I already had a half-finished conversion that was begging for some attention. 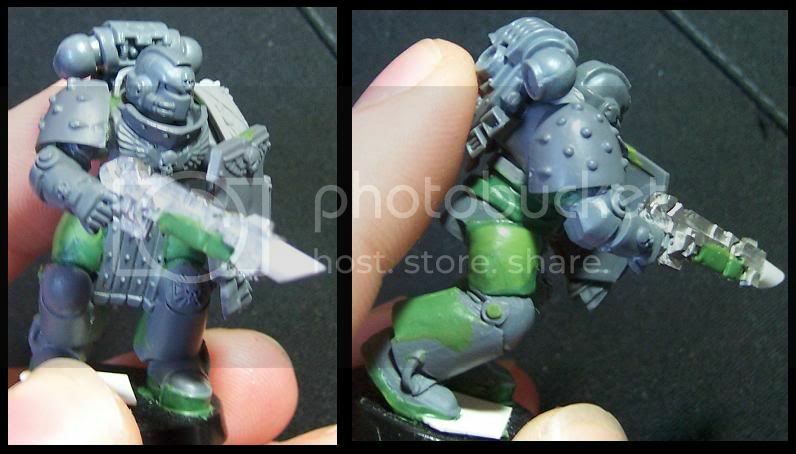 I'm actually rather fond of the regular Thunderfire Cannon, the Techmarine in particular is a fantastic sculpt. At the same time though, I figured I could do the unit justice by making something unique myself. Which, as is quite often the case with my wargaming, lead to me going massively overboard. A Cannon by itself just wasn't good enough, such a dangerous and technically advance piece of kit needs the diorama-treatment. 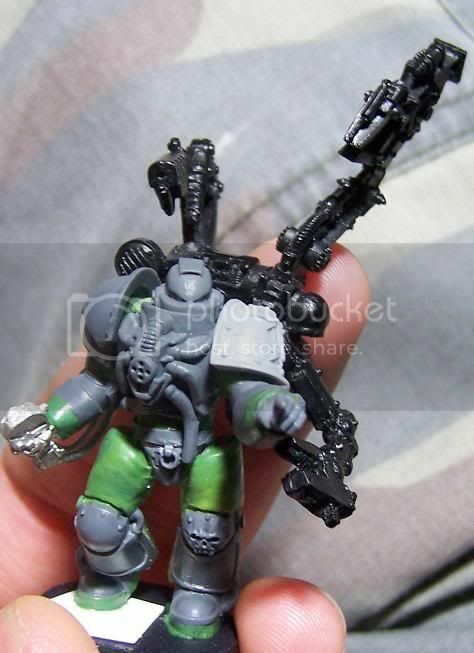 I figured I might as well go all the way and make the contrast between the regular Legion troops and the majestic (well, evil majestic in the case of the Astral Claws) Space Marines a bit clearer by going true scale with the Marines. Let me tell you, true scaling is quite a challenge but I absolutely love the end result. Battle-brother Octavian above isn't quite finished yet and was actually just a tester, though I really, really like how his pose turned out. So chances are good he'll end up in the Retaliator Squad, every rapid-response, counter-attack unit needs a melta gunner after all. 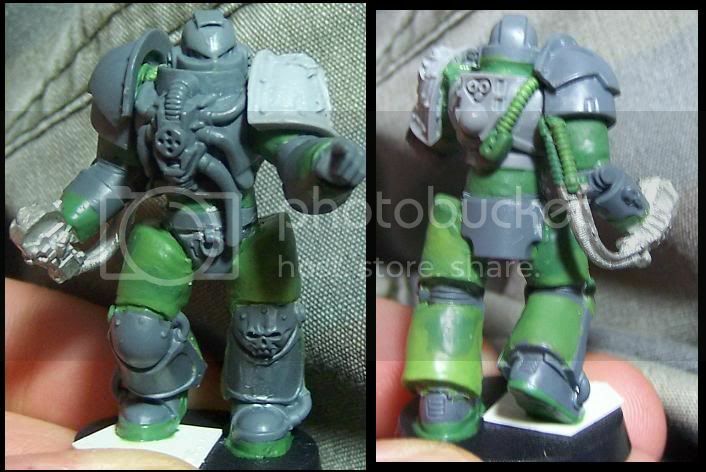 And that does it for this week's update, though I'll be having a closer look at the true scale Space Marines later in the week. They make for an interesting challenge / learning experience, particularly when it comes to planning and tool use. Have a good week everybody!